The future is ours and it's up for grabs... | Step into a high-tech vision of the future with author of 'Quantum Confessions' and 'Fluence' Stephen Oram. 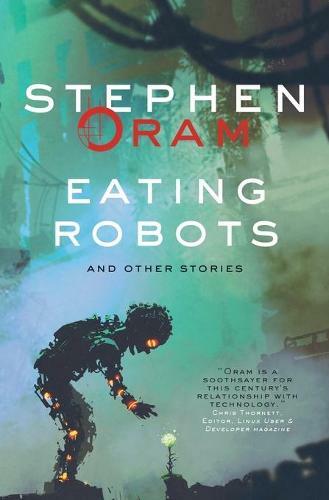 Featuring health-monitoring mirrors, tele-empathic romances and limb-repossessing bailiffs, Eating Robots explores the collision of utopian dreams and twisted realities in a world where humanity and technology are becoming ever more intertwined. | Sometimes funny, often unsettling, and always with a word of warning, these thirty sci-fi shorts will stay with you long after you've turned the final page.